The Lagos State Government has announced that it will formally welcome President Muhammadu Buhari on Monday, 23 May 2016 on a two-day working visit to the state. President Buhari’s visit to the former capital of Nigeria will be the first since he assumed the supreme position of the country about a year ago. This is even as the official visitation of the president will be the first time in about 15 years since a sitting president will be visiting the State on a working visit. According to a statement signed by the State Commissioner for Information and Strategy, Mr. Steve Ayorinde, Buhari’s visit is a testimony of the landmark achievements in the last one year of Governor Akinwunmi Ambode as well as the good working relationship between Lagos State and the Federal Government. The commissioner stated that upon his arrival, the president would formally commission the Lagos State Emergency Management Agency (LASEMA) Rescue Unit in Cappa Oshodi built by the State Government to ensure prompt and swift response to emergency situations in the State. Subsequently, he would commission the newly constructed Ago Palace Way in Okota, Isolo after which he will pay homage to the Oba of Lagos, His Royal Majesty, Oba Babatunde Rilwanu Aremu Akiolu at the Iga Iduganran, Lagos Island. 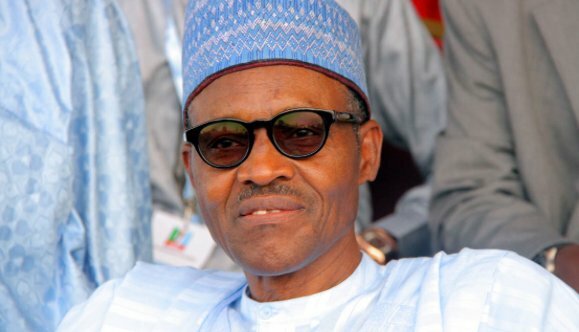 Buhari would thereafter be hosted to a reception rally by the State Government at the Tafawa Balewa Square, (TBS) Lagos where he will also commission and hand over security equipment and vehicles contributed by the Governor Akinwunmi Ambode-led administration to securities agencies to beef up security in the state. The release added that activities for the first day of the President’s visit would be rounded up with a State Banquet in his honour at the Eko Hotels and Suites, Victoria Island. The President will on Tuesday participate as the Special Guest of Honour at a breakfast session with Corporate Lagos to be hosted by Governor Ambode at the Lagos State House, Marina, after which he will have a short session with the public service at the State House, Alausa-Ikeja. The Commissioner quoted Governor Akinwunmi Ambode as being joyous over this landmark presidential visit to the State that contributed so much to his emergence as the President of the Federal Republic of Nigeria. He added that Lagosians are looking forward with excitement to receive the President in the State, just as he urged residents to bear with law enforcement agents and traffic control authorities who will effect road diversions in some of the routes that the President motorcade will pass through during the visit.